Hugh Sexey's legacy not only enabled the formation of Sexey's Hospital. His bequests have allowed the Trustees of his will to make many philanthropic contributions to the communities of Bruton, Somerset and beyond. On this page you will find links to other institutions that relate to Hugh Sexey and are supported by the work of Sexey's Hospital, as well as more information about the modern Almshouse movement. Sexey's School is a leading 11-18 co-educational state boarding and day Academy set in Bruton and founded through Hugh Sexey's legacy as Sexey's Boys School (the 'Blue Boys'), maintaining close links to Sexey's Hospital. ​Bruton School for Girls was formed from the Domestic Training School for Girls which was housed in the Hospital in the latter part of the 19th century. Also based in Bruton, this is a leading independent boarding and day school. 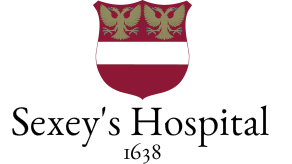 The Almshouse Association is a support charity that represents 1700 independent almshouse charities throughout the United Kingdom.